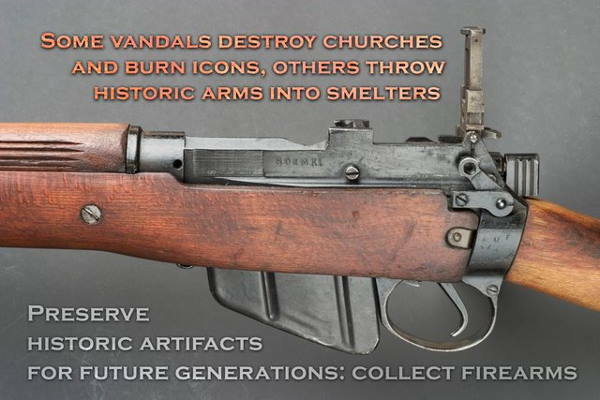 Welcome to the Seventy Sixth Edition of the Owen Guns Bulletin. 75 Previous Editions of this Bulletin are available on this site http://www.owenguns.com/magazine/ To Order Goods From This Site. Everything in Stock at the time of publication, we can only hold prices while stocks last. Phone 07 54825070 or 0754824099 in shop hours 9 am to 5 pm on weekdays and 9 to 12 on Saturdays, or fax to 07 54824718 with your credit card details. Details should include Name of card, ie Visa or Mastercard. Name on Card. Number on Card, Expiry Date of Card, 3 secret numbers on the rear of the card.Your home phone or mobile number. How you want it sent to you, ie mail or road freight. The address you want it sent to. Describe which item you want to purchase. Visit this website now. We also have shooting articles and important firearm information for the gun enthusiast. Take away free gun photos and free firearm images for your gun gallery collection. New firearm related material is being added every day. Hope you all had a happy and safe Christmas Season. 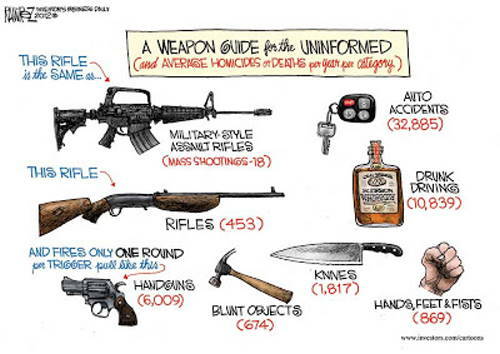 Free Ammunition, Arm Yourselves With Facts and Logic. Most of us do not want to have anything to do with politics, most shooters are not active Labour or Liberal Party members, the majority of Australians have a natural aversion to politics in general but as soon as we purchase a firearm or begin shooting competition or hunting we put our foot into the political river and have to learn to swim against the current. 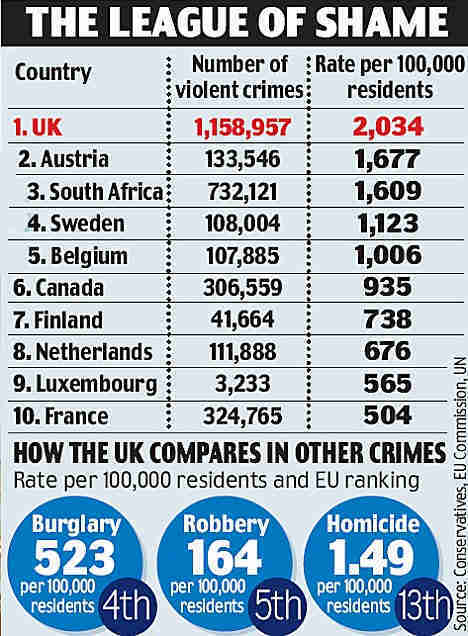 Anything to do with firearm is politics, due to the fact that governments do not want you to have them, as they know that power comes from the barrel of a gun and want only their own sycophants to have them. In days gone bye, law abiding shooters thought it only necessary to join a shooting organisation pay a fee, read about issues in the morning paper and leave the organisation to lobby for them, maybe sign a petition. If it did not work and they had to hand their treasured possessions in. Well, that was there organisations fault, they tell themselves, “I did my bit I paid my money and went to all the trouble to sign the petition”. They don’t rejoin, they lost their property so they lost the reason to be in that organisation. Without ever thinking about why they lost. The Australian media machine with government aid had a total monopoly on public information in 1997/1998 it was so strong it isolated, criticized, marginalised and destroyed all opposition to the mantra of Gun Control. That same sort of publicity machine is at full power in the USA at present and as well as punishing the innocent majority in the USA, the Law abiding Firearm Owners its power stretches across the world and punishes law abiding shooters in Australia. 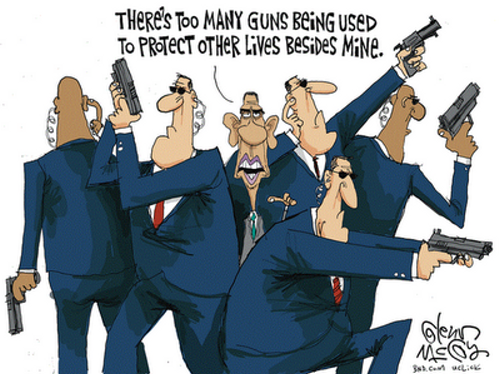 So much so, that we are forced to defend ourselves. The heavy propaganda filling our newspapers and airwaves is eagerly agitated by politicians with their own self for filling agenda’s, it gets to be so strong that keen life time shooters, who are sick of being punished, (identified as potential child killers) then walk in and hand in all their treasured firearms. Mostly regretting it for the rest of their lives. 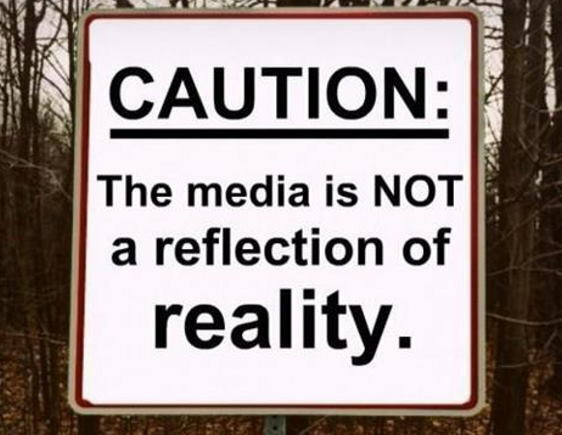 “We become slaves the moment we hand the keys to the definition of reality entirely over to someone else, whether it is a business, an economic theory, a political party, the White House, (Newsworld or CNN. )” B.W. Powe. 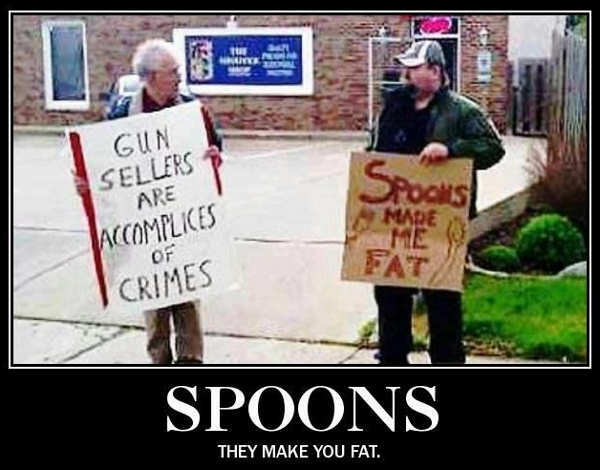 These Anti gun (propaganda) campaigners rely on human psychology, looking particularly at how people behave in groups, to develop effective campaigns that will reach their audiences. Some are more sophisticated than others, and many rely on subconscious biases that are already present in the general population. These can be exploited to make people feel a threatened in a certain way, triggering the desired response to the campaign. Appealing to a person’s emotions, changing people’s minds in a way that a thorough examination of the facts of an issue would not do. Most of these news bulletins feature women speaking in seductive voices provide quotes and keep replaying photos of dead children. This can create a positive association with the information provided and provoke compliance with the directions of the campaign. Propaganda will rely on forcing viewers to pick a side with the use of tools like black and white logic, where people are presented with only two available options, you are either a good or bad person if you do not accept how they see it, your bad, very bad. Another technique is a rhetorical proposition or trick which leaves the viewer with no way out. Such as, “If it only saves One Life, its worth it”, This ‘old stager’ was used against us in 1996 and was reiterated last week by Piers Morgan. Creators of propaganda will also create scapegoats, rely on stereotypes, and use labels or name calling to make the target of a campaign into a generic box called the “others” who threatens the familiar “us”. CNN and Sky place Law Abiding Firearm Owners into boxes using the same techniques as were used by Germany Hitler and Goebbels prior to World War II, where anti-Semitic campaigns were used against the Jewish public. 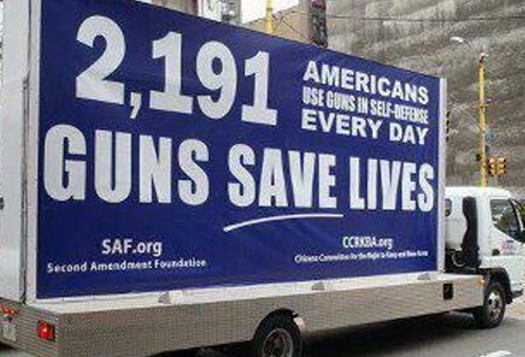 The Anti Gun campaign media ignores the fact that if they sent just people they would still kill one another with the tools they were born with, their brains and their hands and feet. Instead, the Anti Gun media just keep repeating it. They chose to forget that he is a Satanist, has a group the Black Sabbath, encourages suicide in his songs, and is a self admitted Drug Addict. In 1981, Osbourne bit the head off a dove during a meeting with CBS Records executives in Los Angeles. Then spat the head out, with blood still dripping from his lips. On 20 January 1982, Osbourne bit the head off a bat while performing at the Des Moines, Iowa and had to be treated for suspected rabies. No, they promoted him as a peace loving pacifist, idolising him as being smart, because he is well off. You may note, that the law abiding Firearm Owner is portrayed as an ultra right wing fascist type, even if it’s the ‘Jews for the Preservation of Firearm Ownership’. No one can think of a the name of the many hero’s who have prevented a mass killing, but just about everyone can think of a name of the dead beat killer or killers. 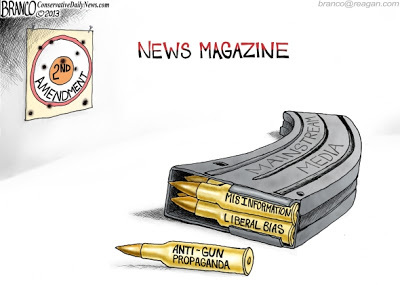 Due to the Anti Gun media campaign which with every detail describes their personal life, their likes their habits their politics, idolising them into a demi god status on one hand and demonising the NRA, or the Shooters Union, or the JFPO as right wing extremists who are supposed to love killing. Like the quote above they turn the square into a circle, they make black white and night into day. The bad guy who gets killed by the armed victim is never mentioned, nor is the hero, the media punishes the pillars of our community the licensed firearm owners and glorifies the Martin Bryant’s. They know that this encourages all the other deadbeats who want and need that glorification to repeat the performance. That is the way the enemies of our freedom work. Facts have no part of it they have an agenda with a timetable. Please use the information on these website to spread around our own media network, the internet, emails, face books. Etc. To use information from 75 other articles like this one. Ron Owen. Mossberg Leaver Action Rifle Model 464 30-30 Winchester. Sam as Winchester Angle Eject. Takes a top mounted scope. $670. plus freight. 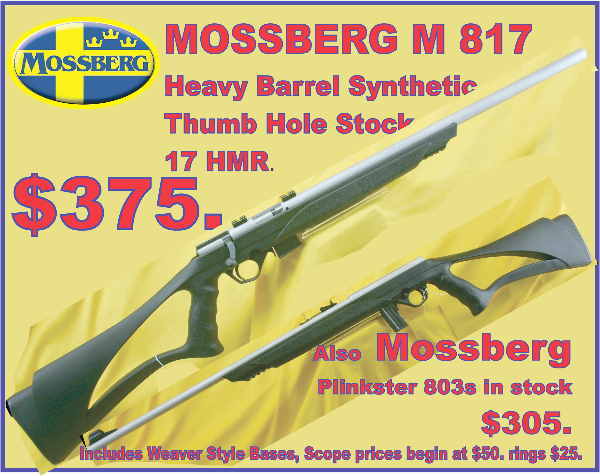 Mossberg Model 817 in .17 HMR calibre, Synthetic Thumb hole, Bolt action includes Weaver Style bases for scope mounting. $375.00 plus freight. 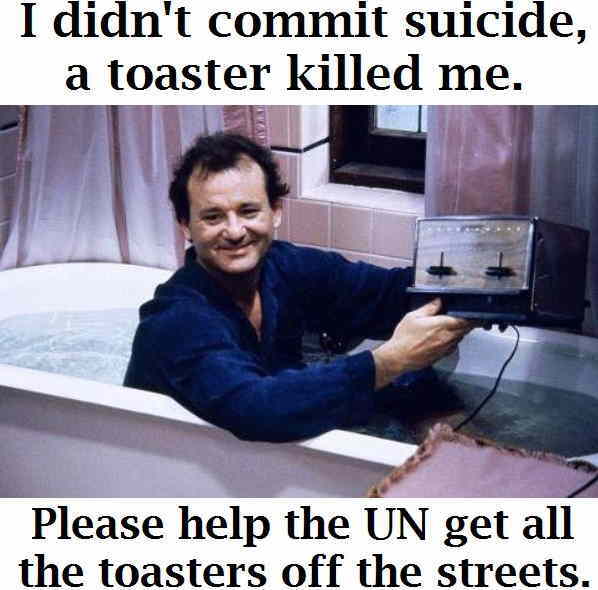 If it Saves One Life Its Worth IT. Mossberg Model ATR .243 win Bolt Action repeatering rifle. Walnut stocks $488. plus freight. 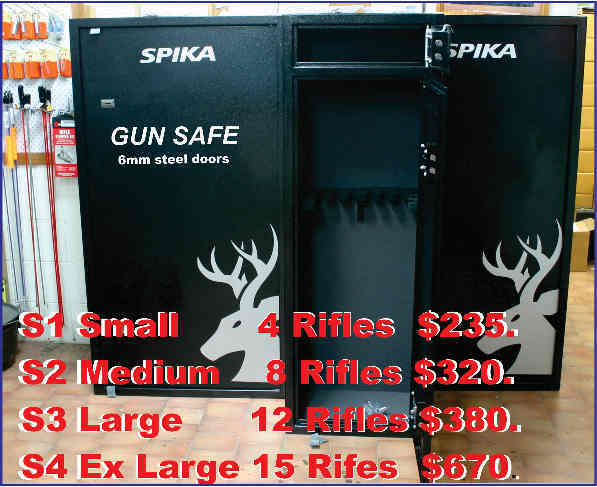 SPIKA Gun Safes. At the Best Prices. All Prices plus Freight.